And ABC, 123, Do-Re-Mi, right? That’s a lot of shorthand … but this isn’t just silly text speak. Each of these acronyms represents a very serious cardiovascular-related condition that requires medical attention and treatment. Peripheral vascular disease (PVD) is a circulation disorder that causes blood vessels outside of the heart and brain to narrow or block. This can happen in either the arteries or veins and is most common in the legs but can also be present in the arms, stomach or kidneys. Peripheral artery disease (PAD) is specifically, a narrowing of the arteries to the legs, stomach, arms and head—again, most common in the legs. Like coronary artery disease, the most common cause of PVD is atherosclerosis, the buildup of plaque inside the artery wall. Plaque reduces the amount of blood flow to the limbs and decreases the oxygen and nutrients available to the tissue. Clots may form on the artery walls, further decreasing the inner size of the vessel and potentially blocking off major arteries. The most common symptoms of PAD involving the lower extremities are cramping, pain or tiredness in the leg or hip muscles while walking or climbing stairs. Typically, this pain goes away with rest and returns when you walk again. Left untreated, PAD can lead to gangrene and amputation. And if the blockage occurs in a carotid artery, it can cause a stroke. Luckily, PAD is easily diagnosed by non-invasive methods … but you have to get checked out! Many people dismiss leg pain as a normal sign of aging. You may think it’s arthritis or just “stiffness” from getting older. If you’re having any kind of recurring pain, talk to your healthcare professional and describe the pain as accurately as you can. If you have risk factors for PAD, you should ask your doctor about PAD even if you aren’t having symptoms. A pulmonary embolism (PE) is a blood clot in your lungs. The clot often forms in the deep veins of the lower legs or thighs. This condition is known as deep vein thrombosis (DVT). If the blood clot breaks loose and travels through the bloodstream, it’s called a venous thromboembolism (VTE) and may represent a life-threatening condition. A PE is usually a VTE that travels from the leg to the lungs. PE is a very serious condition which can cause death. People who have just had surgery, those who are sedentary and/or obese are at a higher risk of developing a DVT. Don’t delay treatment if you have any symptoms or risk factors for DVT. Talk to your doctor if you have any of the above symptoms or risk factors. There are non-invasive treatments available to help dissolve clots before they break off and become life-threatening. To find a Mercy Health cardiovascular physician, visit our Find-a-Doctor tool on our website at www.mercyhealth.org/find-a-physician. Cardiac rehabilitation can’t change your past, but it can help you improve your heart’s future. Cardiac rehab is a medically supervised program for people who have had a heart attack, heart failure, heart surgery, or other coronary intervention. A cardiac rehab program involves adopting heart-healthy lifestyle changes to address risk factors for cardiovascular disease. It is a team effort—partnering you with doctors, nurses, pharmacists, family members and friends—to take charge of the choices, lifestyle and habits that affect your heart. To help you adopt lifestyle changes, a cardiac rehab program will include exercise training, education on heart-healthy living, and counseling to reduce stress and help you return to an active life. It can improve your health and quality of life, reduce the need for medicines to treat heart or chest pain, decrease the chance you will go back to a hospital or emergency room for a heart problem, prevent future heart problems, and even help you live longer. Cardiac rehab is provided in an outpatient clinic or in a hospital rehab center. The cardiac rehab team includes doctors, nurses, exercise specialists, physical and occupational therapists, dietitians or nutritionists, and mental health specialists. Sometimes a case manager will help track your care. Your cardiac rehab team will design a program to meet your needs. Before starting your program, the rehab team will take your medical history, do a physical exam, and perform tests. Possible tests include an electrocardiogram (EKG), cardiac imaging tests, and a treadmill or stationary bike exercise test. 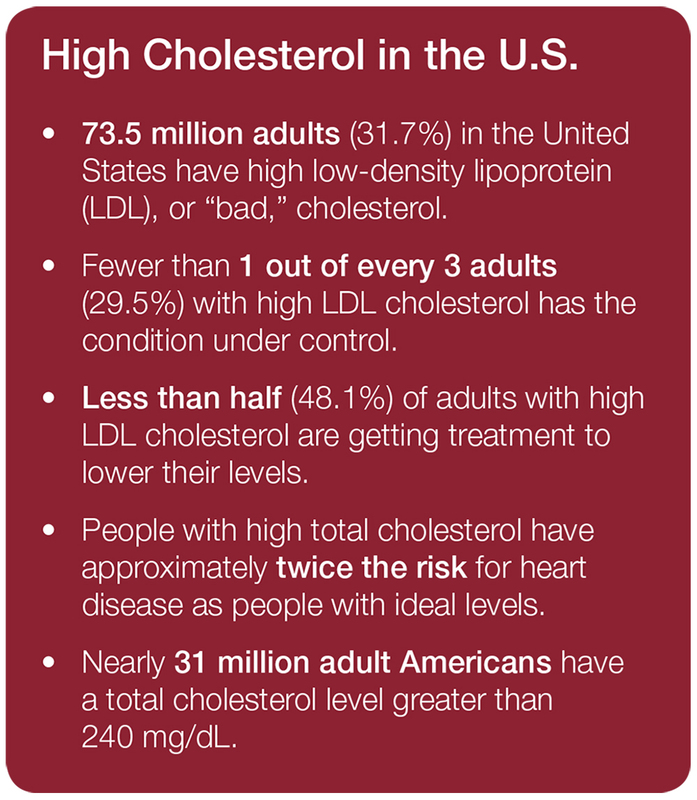 You also may have tests to measure your cholesterol and blood sugar levels. During cardiac rehab, you will learn to exercise safely and increase your physical activity. The length of time that you spend in cardiac rehab depends on your condition. For more information about the cardiac rehabilitation program at Mercy Health System, visit our website at www.mercyhealth.org/heart/rehab. Before you go … Check out Mercy Health System’s 2017 Go Red Dance Video to support American Heart Month! High blood pressure or hypertension is a symptomless “silent killer” that quietly damages blood vessels and leads to serious health threats. Blood pressure is the force of your blood pushing against the walls of your blood vessels. It is recorded as two numbers and a written as a ratio. In order to survive and function properly, your tissues and organs need the oxygenated blood that your circulatory system carries throughout the body. When the heart beats, it creates pressure that pushes blood through a network of arteries, veins and capillaries. This pressure—blood pressure—is the result of two forces: it rises with the first force (systolic) as blood pumps out of the heart and into the arteries. And it falls during the second force (diastolic) when the heart relaxes between beats. Hypertension occurs when your blood pressure is consistently too high. High blood pressure (HBP) causes harm by increasing the workload of the heart and blood vessels—making them work harder and less efficiently. Normal blood pressure for adults is defined as a systolic pressure below 120 mmHg and a diastolic pressure below 80 mmHg. It is normal for blood pressures to change when you sleep, wake up, or are excited or nervous. When you are active, it is normal for your blood pressure to increase. However, once the activity stops, your blood pressure returns to your normal baseline range. Blood pressure also normally rises with age and body size. This chart is a guide for healthy adults. People with diabetes or chronic kidney disease should keep their blood pressure below 130/80 mmHg. About 85 million Americans (one out of every three adults over age 20) have high blood pressure. And nearly 20 percent don’t even know they have it. Over time, the force and friction of high blood pressure damages the tissues inside the arteries. In turn, LDL (bad) cholesterol forms plaque along tiny tears in the artery walls, signifying the start of atherosclerosis. The more the plaque increases, the narrower the insides of the arteries become—raising blood pressure and starting a vicious circle that further harms your arteries, heart and the rest of your body. This can ultimately lead to other conditions ranging from arrhythmia to heart attack and stroke. It can also lead to kidney disease as well as blindness. High blood pressure is the single most important risk factor for stroke because it’s the Number 1 cause of stroke. Similar to a heart attack, most strokes occur when blood vessels in the brain narrow or become clogged, cutting off blood flow to brain cells. This type (ischemic) represents about 87% of all strokes. High blood pressure causes damage to the inner lining of the blood vessels. So this adds to any blockage that is already within the artery wall. The remaining 13% of strokes occur when a blood vessel ruptures in or near the brain (hemorrhagic). Chronic high blood pressure or aging blood vessels are the main causes of this type of stroke. The force of HBP puts more pressure on the blood vessels until they eventually rupture over time. A number of factors and variables can put you at a greater risk for developing hypertension. Understanding these risk factors can help you be more aware of how likely you are to develop high blood pressure. Family history: If your parents or other close blood relatives have high blood pressure, there’s an increased chance that you’ll get it, too. Age: The older you are, the more likely you are to get high blood pressure. As we age, our blood vessels gradually lose some of their elastic quality, which can contribute to increased blood pressure. Gender: Until age 45, men are more likely to get high blood pressure than women are. From age 45 to 64, men and women get high blood pressure at similar rates. And at 65 and older, women are more likely to get high blood pressure. Race: African-Americans tend to develop high blood pressure more often than people of any other racial background in the United States. What can you do to prevent or lower high blood pressure? Maintain an active lifestyle and exercise at least 30 minutes each day. Get plenty of rest and eat a healthy, low-sodium, high-potassium diet. These are the best ways to affect your blood pressure. When these don’t work, your doctor may prescribe certain medications, such as a diuretic or beta blocker, to help lower your blood pressure. Talk with your doctor about blood pressure and the risk of heart disease or stroke. If you would like to find a Mercy physician, visit our Find-A-Doctor tool on our website at: www.mercyhealth.org/find-a-doctor. Just before Christmas, people across the world learned that beloved Star Wars actress and best-selling author Carrie Fisher suffered a cardiac emergency while on a flight home to LA. Within a few days, we were all mourning her death. During this time, media outlets all over the world were reporting on her condition. Some news stories reported she suffered a heart attack; others reported she suffered a cardiac arrest. And many simply used both of those terms interchangeably. But is there a difference? A heart attack, also called a myocardial infarction (MI), occurs when the blood flow that brings oxygen to the heart becomes partially or completely blocked. This happens because the coronary arteries can become narrowed from a build up of fat, cholesterol and other substances, called plaque. When the plaque breaks, a blood clot forms around the plaque and can block the blood flow. Recovery from a heart attack depends on the length of time the heart muscle is without blood flow, which heart vessel is blocked, and whether or not treatment is immediately started. Emergency care is required for a heart attack. So if you have symptoms, get to an emergency room immediately. And don’t drive! When at all possible, call 911 for an ambulance. Paramedics will have equipment to help treat you on the way to the hospital and can get you there quicker. Every 34 seconds, someone dies from heart and blood vessel diseases, America’s No. 1 killer. A cardiac arrest is when the heart malfunctions and stops beating or ‘arrests’. Death occurs in minutes after the heart stops because oxygen-enriched blood is no longer flowing through the body. In some instances, immediately performing cardiopulmonary resuscitation (CPR) and use of an automatic external defibrillator (AED) can help provide oxygen to the body and get the heart started again. In the instance of Ms. Fisher, witnesses on the airplane have said that she stopped breathing for 10-15 minutes. Passengers, trained in CPR, tried to revive her and when the plane landed, paramedics continued to provide advanced life support on the way to the hospital. However, the amount of time she was without oxygen proved to be irreversible. A death certificate issued by the LA County Department of Health confirmed that her cause of death was cardiac arrest. What may have contributed to her heart stopping is still being determined. Carrie Fisher’s death, as well as the death of her mother just a few days later from a stroke, highlights the importance of raising awareness of heart disease in women. While we don’t know if Fisher had any symptoms prior to boarding a plane that day, what we can take from this is that it can happen to anyone. Heart disease is the #1 killer of women and it sometimes has no symptoms, which is why it is called the silent killer. So, during this American Heart Month, we would like to encourage women (and men) to take care of their hearts. Get regular checkups. Talk to your doctor about what you can do to stay healthy. If you are in a higher risk group, or if you have a family history of heart disease, ask you doctor what you can do to lower that risk. To find a cardiologist at Mercy Health System, visit our website and use our Find a Doctor tool at www.mercyhealth.org/find-a-doctor.